We capture the very essence of ethical client-focused organisations looking for genuine, long-term meaningful content that makes people care about what you do. 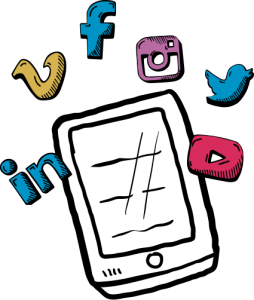 Social media is all about creating relationships with your target audience, forming bonds, communities and creating a better understanding and insight into your organisation. Creating social value and being ethical across your social media channels is vital to stay successful. GIFs complement any marketing activity and aim to capture attention quickly with a concise message across your social network. Film and animation is the best way to bring your stories of impact to life and help make an ongoing difference across your marketing objectives. Film or animated content can help you to exceed targets, increase visibility and raise brand awareness. Film and animation provides greater visibility and an opportunity to win awards and subsequent features in the press. Animation in particular is a creatively effective way to convey personal and emotional content ensuring a leap forward in social value and ethics. By working with us, you will be helping us to empower children and young people who have been trafficked or exploited by giving them a voice to share their experiences, recover from trauma and rebuild their lives.